A Nobel In Literature For Bob Dylan, Whose Words Transcend Form When Bob Dylan won the Nobel Prize for Literature, many were surprised. But many novelists cheered, and performers of all kinds — from William Shatner to Kesha — have been inspired by Dylan's words. 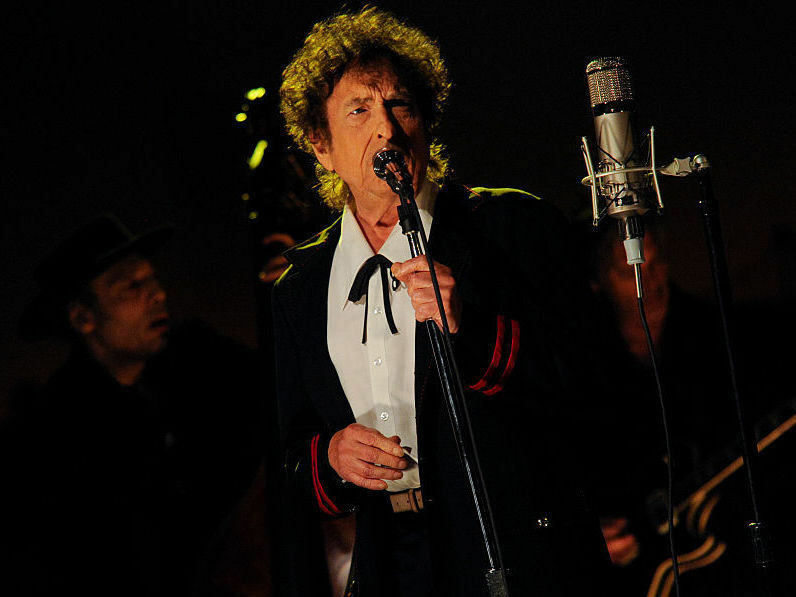 Bob Dylan performed on the Late Show with David Letterman in 2015. Bob Dylan was awarded the Nobel Prize for Literature this week. His selection was surprising. He is the first artist to receive the award for a body of work that is almost entirely songs. But while there were critics, there was also a lot of acclaim, even from outstanding longtime novelists, including Joyce Carol Oates, Stephen King, and Salman Rushdie, who called Mr. Dylan, "the brilliant inheritor of the Bardic tradition." Sara Danius of the Swedish Academy, who is a professor of literature, compared Dylan to Homer and Sappho, and when asked if the Nobel Committee would now include songs as literature, she replied, "The times they are a changin', perhaps." Bob Dylan didn't add, "perhaps" when he wrote, "the times they are a changin'," perhaps because perhaps is more difficult to rhyme. Some of us might have preferred Leonard Cohen or Stephen Sondheim as a songwriter to receive the Nobel. But there's no doubt that Bob Dylan's songs are literature that reach into our souls and have become anthems in the lives of millions. And his songs have also inspired other performers to deliver their most sensitive interpretations of his words. For example, William Shatner's "Mr. Tamourine Man." And Jeremy Irons' rendition of "To Make You Feel My Love." And song stylist Sebastian Cabot's unforgettable "It Ain't Me Babe." The words of Nobel laureate Bob Dylan, as you've never heard them before.